The limiting factor in curcumin’s efficacy has been its poor systemic bioavailability as it is poorly absorbed in the gastrointestinal tract and rapidly metabolized.2,3 Advanced manufacturing techniques have reduced its particle size over 100-fold, and combining the use of natural emulsifiers to form a colloidal suspension has tremendously increased curcumin’s bioavailability, significantly increasing blood levels of curcumin many times that of other preparations, including so-called enhanced forms of curcumin.4,5 Theracurmin increases curcumin levels in a linear and dose-dependent manner, bypassing previous limits to curcumin supplementation to achieve unparalleled blood levels of curcumin. 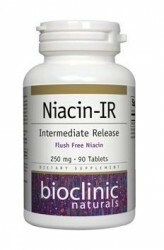 Niacin-IR is an intermediated release, flush free formulation to allow the release of niacin steadily over a six to eight hour period. It is intermediate in that it provides the safety profile of immediate-released niacin while reducing the flushing of the skin that occurs with this form of niacin. Niacin in the form of nicotinic acid provides support to maintaining healthy cholesterol levels already within the normal range. * Niacin is a factor in the maintenance of good health, helps the body to metabolize fats, proteins and carbohydrates, and helps normal growth and development. 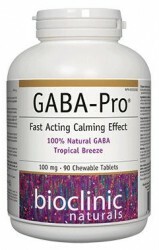 * Helps prevent niacin deficiency. Caution: Some people sensitive to nicotinic acid may initially experience flushing of the skin. If this occurs, it is generally mild and transient. Keep out of reach of children. Contains no artificial preservatives, color or sweeteners; no corn, dairy, gluten, soy, starch, wheat or yeast. Sealed for your protection. Do not use if seal is broken. For freshness, store in a cool, dry place. Supplement Facts Serving Size 1 Tablet Amount Per Serving % Daily Value Niacin (Nicotinic Acid) 250 mg 12,500% Other ingredients: Dicalcium phosphate dihydrate, hydroxypropyl methylcellulose, microcrystalline cellulose, silica, magnesium stearate (vegetable grade). Oxidative damage to the mitochondria is a major factor in cellular aging along with neurological decay.1 While lifestyle interventions, such as calorie restriction, help improve mitochondrial function in young non-obese adults, certain supplements such as L-carnitine are also of therapeutic benefit.2However, the salt of L-carnitine, called acetyl‑L‑carnitine (ALC), is the preferred form for conditions of disease and aging as it has better absorption and readily crosses the blood brain barrier.3 ALC has been shown to exert a significant function in the disorders of aging including fatigue hypertension, insulin resistance, diabetic neuropathy and dementia.4,5,6,7 ALC may work synergistically in combination with alpha-lipoic acid not only to reduce hypertension but reduce the pain associated with a herniated disc.8 Recently discovered agents such as Pyrroloquinoline quinone (PQQ) play a key in mitochondrial genesis via cell signalling (PGC-1 alpha).9 This latter ability to stimulate mitochondrial production ability may in part explain the conclusion of a recent open clinical trial. After taking 20 mg of PQQ daily for eight weeks, 20 healthy and women (average age 38 years) not only had improved vigor but also had a significant reduction in symptoms of fatigue, tension, depression, anger and confusion.10 While both PQQ and ALC are key components in Mito AMP, other natural compounds in the formula enhance its efficacy. Digest-ProGD is a broad spectrum proprietary enzyme blend, providing unique support for the digestion of gluten and dairy proteins, as well as lactose, other carbohydrates, proteins and fats. 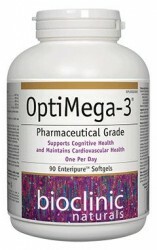 It contains Dipeptidyl peptidase IV (DPP-IV), a multifunctional serine protease that targets proline containing peptides, such as those found in gliadin and casein, which are both proteolytically resistant proteins.1,2,3 DPP-IV is thought to be one of the rate limiting enzymes responsible for the digestion of these proteins. It is known to be found in lower amounts in the intestinal mucosa of individuals with celiac disease and to have an inverse correlation with the level of mucosal damage among those with and without celiac disease.4,5 The antigenic and immunomodulatory proline-rich proteins found in gluten are thought to trigger an inflammatory response in patients with either celiac disease or gluten sensitivity, often due to inadvertent gluten exposure, even for those on a gluten free diet.6 Digest-ProGD provides comprehensive digestive support, containing multiple proteases as well as enzymes necessary for lipid and carbohydrate metabolism. Betaine hydrochloride increases stomach acid to enhance digestion. HCl assists in protein digestion by activating pepsinogen to pepsin, renders the stomach sterile against orally-ingested pathogens, prevents bacterial or fungal overgrowth of the small intestine, encourages the flow of bile and pancreatic enzymes, and facilitates the absorption of several nutrients including folic acid, ascorbic acid, beta-carotene, non-heme iron and some forms of calcium, magnesium and zinc.1 However, in the absence of adequate HCl, poor digestion can arise leading to bloating, belching, indigestion, and diarrhea or constipation.1,2 Numerous studies have shown acid secretion declines with advancing age3,4,5 and impaired HCl production and secretion is correlated with a variety of clinical conditions, including food allergies, asthma, diabetes, thyroid disorders, osteoporosis and arthritis.1,2 While the underlying etiological factors leading to impaired or absent HCl secretion are not well understood, long term supplementation is generally safe and may be effective in certain patient populations and clinical conditions.1 Combining betaine HCl with fenugreek further supports digestive function and health, as fenugreek seeds are an excellent source of mucilage, which helps soothe gastrointestinal inflammation by coating the lining of the stomach and intestine.